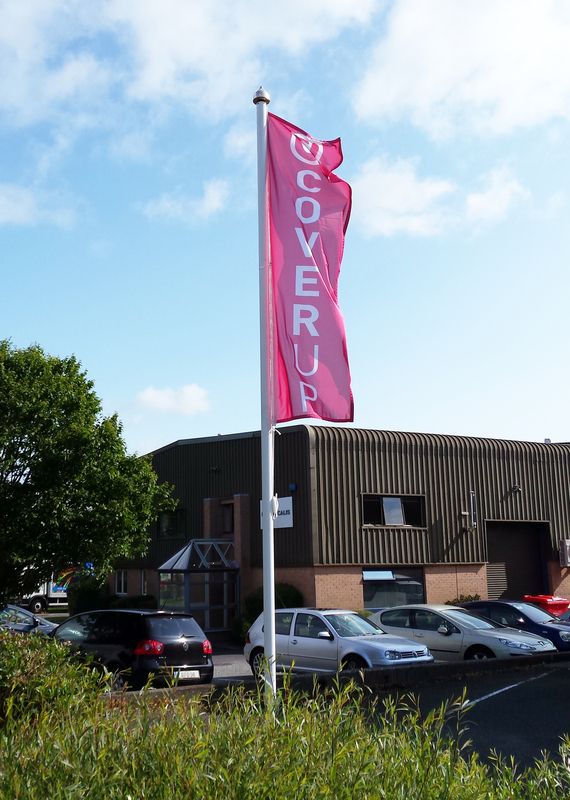 Cover Up Ltd. was established in 1976. As the name suggests, covers were the main products manufactured in the early days. PVC Nylon is the raw material used and as the years have passed printing onto PVC has become the core of the business. We produce banners, flags, signs and covers of various sizes and colours from an A4 Coriboard sign to a large format print for a buiding wrap. We can supply it all. Contact us with any enquiries you may have and our staff will gladly look after you.